These moving pictures show the fragile existence of a new species of orangutan discovered less than two years ago – which is ALREADY at risk of extinction. 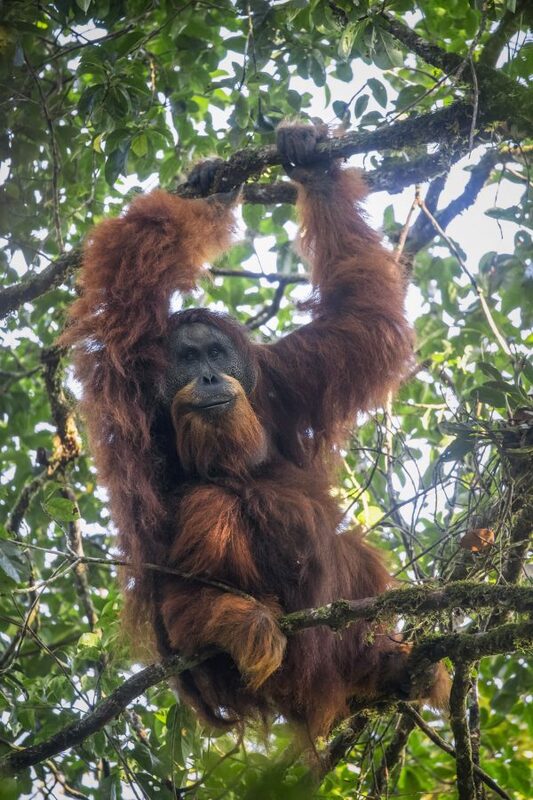 The Tapanuli orangutan lives in the thick Batang Toru forest in Sumatra, Indonesia, and was designated as the seventh species of Great Ape in November 2017. But it is also the rarest ape in the world, with a mere 800 remaining members roaming the trees. And now a massive Chinese-backed £1.2 billion hydro-electric dam project could spell Armageddon for the highly endangered cousin of mankind. French wildlife photographer Maxime Aliaga has spent the last two years picturing the Tapanuli in their dwindling habitat. He said: “It is a very strong feeling to be near by this orangutan. It feels like they are our ancestors, who have chosen to remain free and wild living in the forest. The Tapanuli have a brighter orange coat, smaller skull and longer canine teeth than their close relatives, the Bornean and Sumatran orangutan. 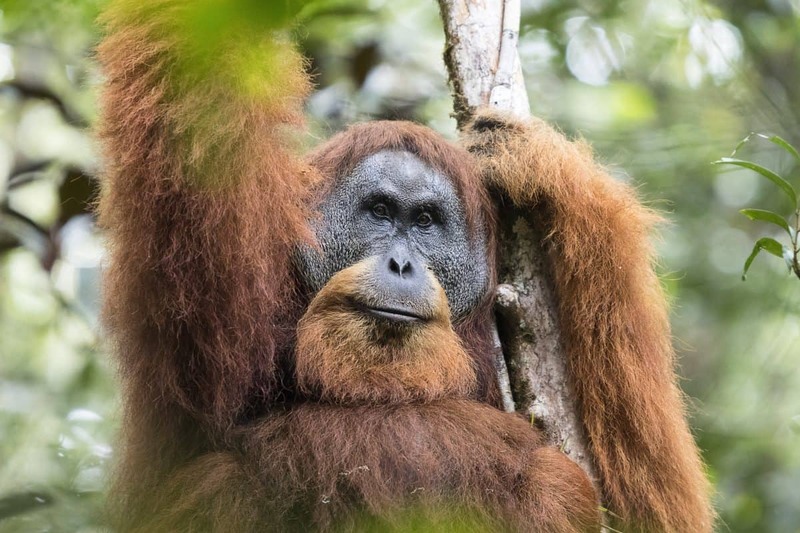 On November 3, 2017, the Tapanuli – or Pongo tapanuliensis – were officially designated as the third species of orangutan. Scientists think they are separated from the other two species by about 3.4 million years. Maxime took the pictures over the course of two 10-day expeditions, trekking through the dense rainforest for days to locate the animals. 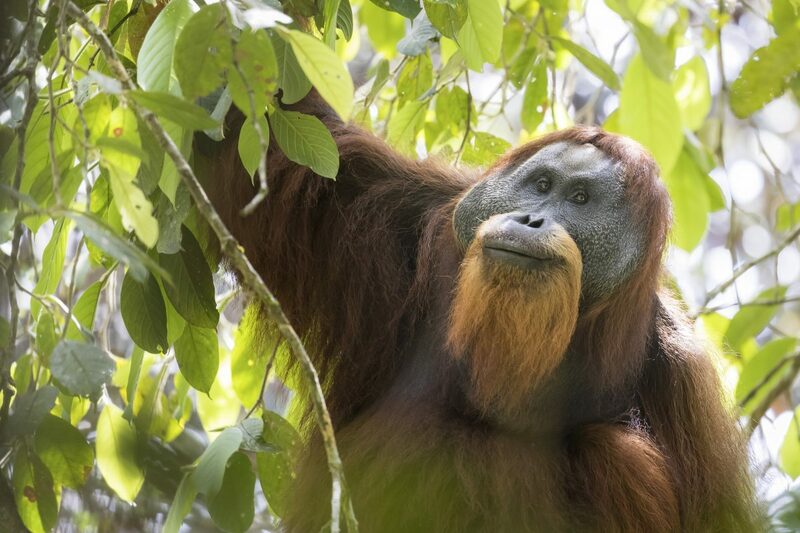 The 34-year-old said: “On the last expedition, it took me seven days to find my first Tapanuli orangutan. He said the dam project – already under way – could flood the primates’ jungle habitat, which has already suffered from illegal deforestation. He added: “I want to show these pictures and tell this story to introduce one of our closest cousins to the entire world. 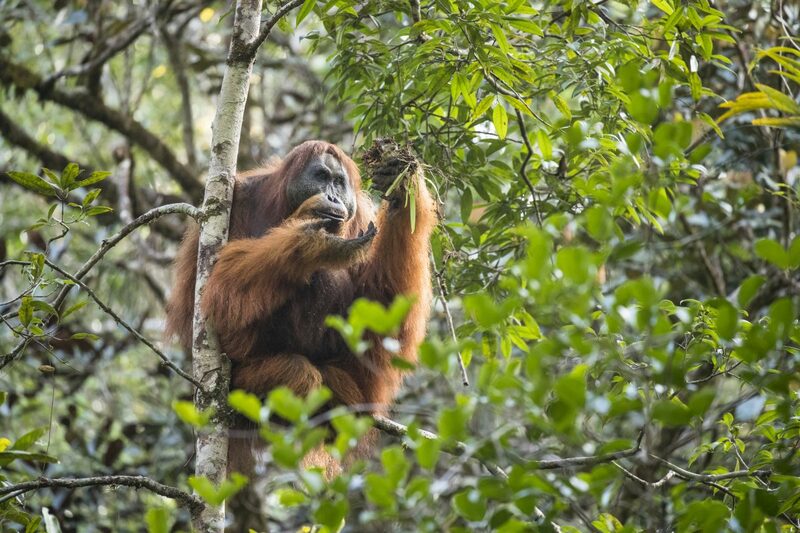 “We have just discovered a new species of orangutan, who has lived in harmony with nature for 15 million years, but they are already the world’s most endangered Great Ape. “It is very important to talk about this species, and the conservation issues surrounding them. Maxime used a Canon 5D4 and 7D2, and a 400mm lens to capture the pictures.